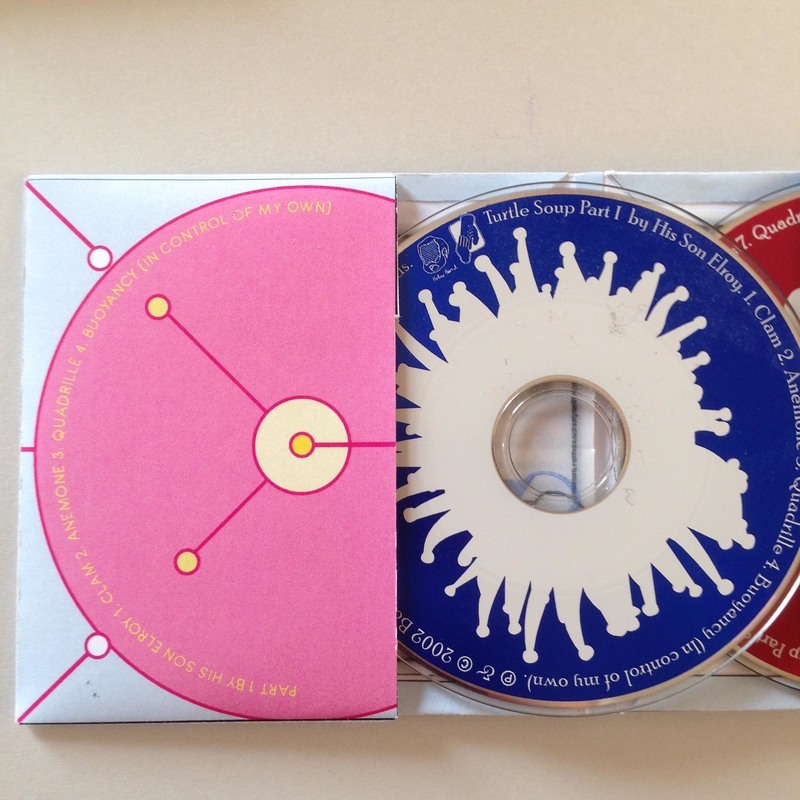 Newly repackaged by Micro Library Books for 2014 this album set collects all four of the 8cm compact disc E.P. 's recorded by the band His Son Elroy. The full 16 tracks form the album '4 x 4' (originally released in 2003 by Hollow Haircut Records as part of the Natural History quarterly Turtle Soup) is now being made available by Micro Library Books in this new set. The handmade package, made from two printed and folded sheets of A4 paper, is restricted to ten copies and each comes with the original tracing paper insert that originally appeared in Turtle Soup. 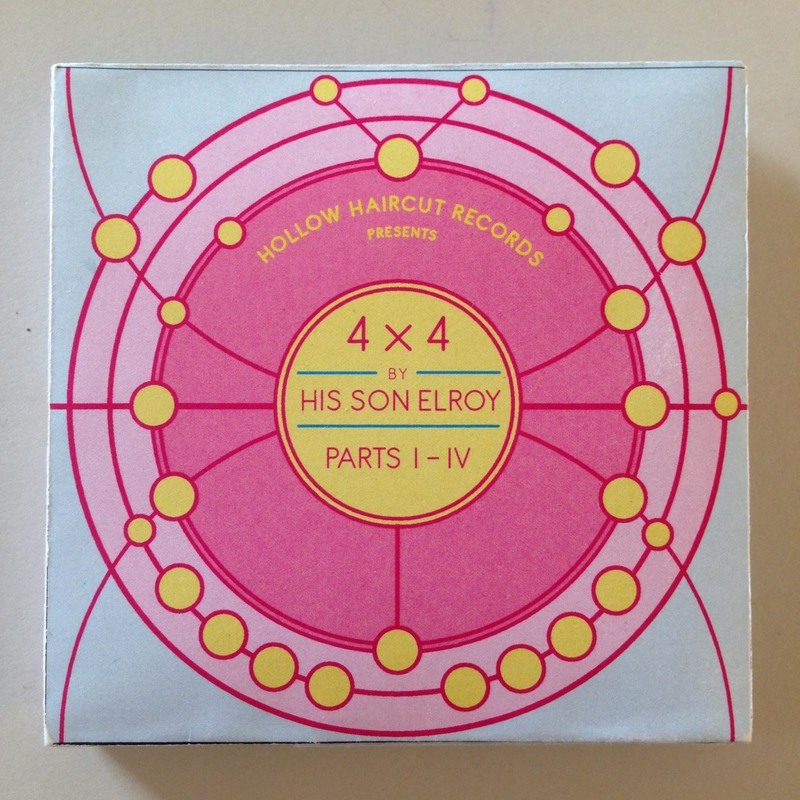 The audio tracks of this album can be heard on His Son Elroy's Bandcamp page here.